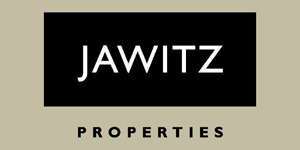 Founded in 1969, Jawitz Properties is one of Southern Africa’s leading residential property companies with an outstanding reputation and has as its cornerstone the excellence of its people. As one of South Africa's premier real estate brands with our network of offices in South Africa, Botswana and Mauritius and through our membership in Leading Real Estate Companies of the World® and Luxury Portfolio International®, you get access to a South African and Global network of 600 premier real estate firms, with 5,000 offices and 150,000 sales consultants in more than 30 countries! The organization is comprised of the very best international names in real estate who come together under the Leading Real Estate Companies of the World® banner, to share knowledge, experience, expertise and of course, buyers and sellers from market to market. The company’s approach to business and all its stakeholders is epitomized by its five guiding values. We strive to be a performance-driven company that recognizes achievement; we demand absolute integrity in all our interactions; all our people take responsibility to develop themselves to their fullest potential; teamwork is everything in pursuit of company performance and lastly, each and every person constantly strives to delight our internal and external customers by meeting their needs and expectations. Whoever you are and whatever your residential property needs may be, we at Jawitz Properties look forward to offering you a positively unique and memorable property experience.